Despite the possible apocryphal nature of its origins, many practitioners of Ashtanga Yoga believe that Jois's approach represents the most complete and original system of yoga known. If it is indeed authentic, the manuscript of the Yoga Korunta is believed to be at least 1,500 years old, and the practices it describes are believed to be perhaps 5,000 years old. Some people even believe that Ashtanga Yoga embodies the original classical practice of yoga as referenced by Patanjali in his famous Yoga Sutras. Ashtanga Yoga derives its name from the fact that practitioners believe it embodies all eight limbs of raja yoga, or the "royal" path to liberation. These limbs, which are presented in detail in Chapter 1, address a full spectrum of yoga principles, including right conduct, right action, physical movement, breathing, and the more abstract realms of sense withdrawal, contemplation, meditation, and ecstatic union with the absolute. In addition to emphasizing learning and repeating a prescribed series of flowing asana postures, Ashtanga Yoga also incorporates a special breathing technique, bodily locks, and a special gazing technique. The practice of Ashtanga Yoga requires the exercising of moral observances, such as discipline and commitment. It can help lead men to a state of single-pointed concentration that is conducive to meditation. A man can experience the positive benefits of Ashtanga Yoga not only during physical execution of the series of postures, but also in his life in general. Thus, Ashtanga Yoga can be a gateway to living the yoga lifestyle. Ashtanga Yoga differs from the other major styles of hatha yoga in a number of important respects. First, it incorporates a type of flowing movement known as vinyasa ("uninterrupted flow" or "arrangement" in Sanskrit). Each posture flows without interruption into the succeeding posture in a practice that is seamless and totally connected by the breath. This differs markedly from some other styles of yoga in which practitioners perform one asana, stop to rest, and then begin another. In addition, Ashtanga Yoga incorporates a special kind of breathing technique known as ujjayi ("victorious") breath. Ujjayi breath requires practitioners to constrict the passageways of the throat, resulting in a type of breathing that produces a hissing sound, even with the mouth closed. This breath helps to focus the mind as well as stoke heat in the body. Ashtanga Yoga also uses what are known as bandhas ("locks" in Sanskrit). Practitioners tighten certain internal muscles while performing Ashtanga Yoga—mula bandha ("root lock") draws up on the muscles of the pelvic floor and uddiyana bandha helps lock the area of the abdomen. Applying these yogic locks helps to seal in energy, focus awareness, and generate and retain heat and energy in the internal organs of the body. Fixing the gaze on certain prescribed points (dristhi or drishti in Sanskrit) helps to stabilize, purify, and concentrate the mind with single-pointed awareness. Ashtanga Yoga also requires strength to perform because various muscle groups are alternately and systematically contracted. Finally, to combine all of these features mindfully into one seamless flow requires a great deal of concentration. While other approaches to yoga may incorporate some of these techniques and principles, Ashtanga Yoga uses all of them in an integrated and dynamic approach to the practice of yoga. The end result of the combination of practices that are used in Ashtanga Yoga is the generation of heat in the body and, in particular, the area of the abdomen. This heat has profound benefits, which range from the physical to the emotional, mental, and spiritual. The heat generated during the practice of Ashtanga Yoga helps to release tightness in muscles, ligaments, joints, and other parts of a man's body, as well as in the internal organs. The heat actually allows the tissues in the body to soften so that previously constricted areas can remold themselves into more appropriate alignment. The release of areas of physical holding can be accompanied by the letting go of tight, restricted, or outmoded ways of feeling and thinking as well. In addition to its effects on the soft tissue of the body, the generation of heat can also play an important role in spiritual development. Yogis have believed for centuries that a vital, primordial, creative energy known as kundalini, or "coiled serpent power," lies dormant at the base of the spine. When aroused, this potential energy becomes activated. It rises up through a central channel in the body to unite with the power of cosmic consciousness that resides at the crown of the head, resulting in enlightenment and the release of tremendous amounts of creative energy. (See Chapter 7 for more information on the important role that kundalini plays in yoga philosophy.) A principal goal of yoga practices in general is to help awaken the dormant kundalini energy so that it may rise and lead to enlightenment. One way to help the kundalini awaken is to stoke the body with heat. Ashtanga Yoga is designed specifically to build up the internal heat in the body, particularly in the abdomen. 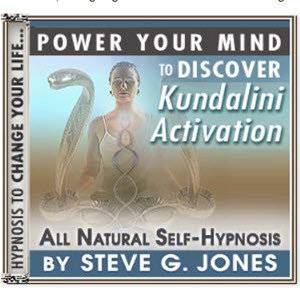 This can contribute to the awakening of the kundalini energy. Always wondered what meditation is all about but didn't knew who to ask? 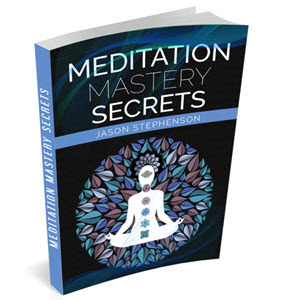 Here are some great information which will answer all of you questions on meditation. Do you want to improve your life? Are there areas of your life that just aren’t quite right? I felt the same way a few years ago. Although I had a good job and a nice family, there were parts of my life that definitely needed improvement.